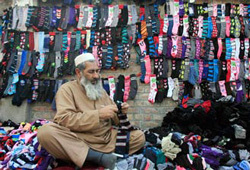 Pakistan has come up with a novel way of confronting the country’s worsening electricity shortage: turning off the air conditioning in government offices, and ordering all the employees not to wear socks. Civil servants across the country have been sent a memo detailing the new dress code, which came into force last week. Sandals and moccasins are now to be worn by all staff, but without socks. “There shall be no more use of air-conditioners in public offices till such time that substantial improvement in the energy situation takes place,” a cabinet directive said. “The dress code includes white or light coloured shirt (full-sleeved or half sleeved) with light coloured trouser or shalwar kameez with waist coat, and moccasins (shoes without laces) or sandals (shoes with straps) without socks. The unusual step is a sign of Pakistan’s increasingly desperate attempts to save electricity, as shortages continue to plunge much of the country into darkness. Electricity companies are only producing two thirds of Pakistan’s required electricity – a result of outdated power generation plants being unable to cope, combined with the government being unable to pay electricity companies for the power they do produce. Much of the plants were built in the 1960s and are creaking under the strain, while a drought is further hampering power generation. Vietnamese state electricity company EVN said in a statement that the blackout happened on Wednesday after the operator accidentally knocked down a tree, which fell onto the main north-south high voltage power transmission line. 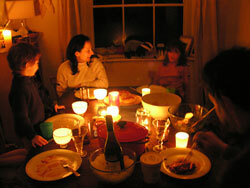 Electricity supplies in Ho Chi Minh City and in Phnom Penh were affected before power was restored on Thursday. About 22 of Vietnam’s 63 provinces were blacked out, officials say, and most of the south-east of the country was without power. 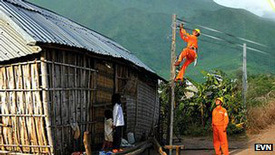 It was one of the worst power outages in Vietnam’s history. Local media in Phnom Penh said that the entire length of the city’s popular riverfront area lay in darkness, as crowded restaurants served tourists by candlelight and water supplies – that rely on electricity – began to dry up. Correspondents say that the outage caused scores of garment and seafood factories to close and exposed the fragility of Vietnam’s power grid. In addition there were heavy traffic jams in many other cities and towns as traffic lights failed. Vietnamese state-owned newspaper Thanh Nien reported that the incident cost EVN $700,000 in lost revenue. It is widely acknowledged that Vietnam’s power generation sector needs modernizing. EVN has a power supply monopoly in Vietnam, but has been criticized for frequent power cuts in many parts of the capital Hanoi as temperatures soar to 104F. Last year the EVN chairman was fired for enormous losses incurred by the company. The Panamanian government has ordered schools to close and government offices to reduce their opening hours as the country suffers from a power shortage. It also declared a drought emergency in a third of the country. Panama derives more than half of its energy from hydroelectric power and a lack of rain has hit the supply hard. Government officials said they had been forced to take the measures after previous drives to save energy had failed to make much difference. Officials said bars, nightclubs, cinemas and supermarkets would also be required to close between 22:00 (03:00 GMT) and 06:00 (11:00 GMT) local time from Monday to Thursday. Businesses have been asked to turn off their air conditioning between 11:00 (16:00 GMT) and 15:00 (20:00 GMT). Hydroelectric power accounted for almost 60% of Panama’s electricity generation in 2010, according to the US Energy Information System. Government minister Roberto Henriquez said he hoped the measures would prevent more drastic energy shortages. “If we stick to this we can certainly prevent further cuts which could seriously affect the country’s economy,” he said. Panama has the fastest growing economy in Latin America with a rate of more than 10% for 2012, according to the government’s statistic agency. Officials said they would re-assess on Sunday (May 12) whether to lift the restrictions and re-open schools, but with no rain forecast they called on citizens to curb their energy consumption as much as possible. NOTE: “Answers” emails have ended for the school year. Daily posting will end June 7th. Answers emails will resume September 3rd. 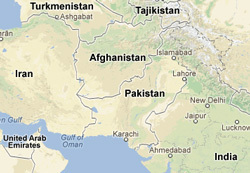 b) How much of the electricity needed in Pakistan are the electric companies able to produce? d) How have the ministers for water & power, and petroleum & natural resources decided to solve the electricity shortage problem in Pakistan? b) How did a crane operator cause a power outage in Vietnam and parts of Cambodia? c) What percent of Vietnam’s power was out for 10 hours? 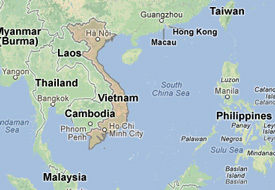 d) What is the reason for the inferior electric system in Vietnam? b) Why did the government take such drastic measures? c) What is hydroelectric power? 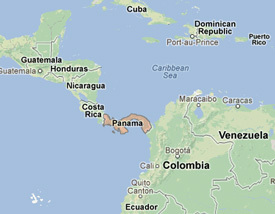 d) How much of Panama’s electricity comes from hydroelectric power? CHALLENGE QUESTION: This news brief is from May 8th. Panamanian officials said they would re-assess on May 12 whether to lift power restrictions. Do an internet search to find a follow-up article with an update on this story. Power outages lasting as long as 20 hours were recorded in Faisalabad and Gujranwala, while the capital Islamabad has also been hit. In Peshawar, electricity “load shedding” – black outs – went up to 14 hours, and in the north western tribal areas bordering Afghanistan the situation was worse, with electricity available for only five to six hours per day. In Punjab, power outage has almost destroyed industry. In Lahore, the country’s second largest city, power was cut off for 12 to 14 hours daily, leaving the residents to swelter in 104F heat. Mr. Malik, the minister for water and power, and Sohail Wajahat Siddiqui, minister for petroleum and natural resources, together “expressed their inability to overcome the crisis”, the Daily Times said they told a news conference in Lahore, where the temperature was 104F on Monday. “They have termed financial constraints as a major, and incompetence as a minor, hurdle in resolving the issue,” the newspaper said. Most hydroelectric power comes from dammed water driving a water turbine and generator. The amount of energy extracted from the moving water depends on the volume of water and on the difference in height between the water’s source and outflow. In 2011, hydropower represented 3.25 percent of the total energy consumed in the United States – a level it has not reached since 1999. Hydroelectricity is dependent on amount of participation and will vary somewhat over time. In 2011, renewable energy accounted for about 13 percent of the net electricity generated in the United States. Hydropower accounted for 63 percent of that total. The states with the largest hydroelectric generation are Washington, California, New York, Oregon and Alabama.